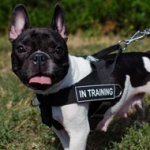 Best Dog Collar Leather or Nylon? 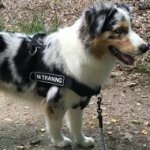 It would seem that it is very easy to choose a collar for a dog. But, when you look at the variety of materials, you can't help, but wonder: leather or nylon collar to get? What material is stronger? 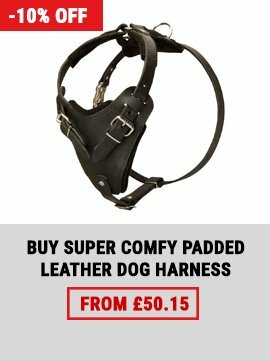 Which one will be more comfortable and safe for the dog? 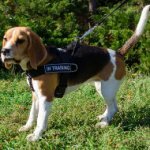 Leather and nylon are the materials that are the best suitable for dog collars. 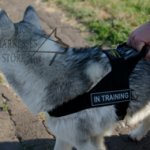 It depends on your taste and purpose of use you need the collar for. 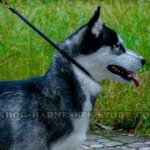 High-quality genuine leather, which contains no chemicals, is hypoallergic and harmless for your dog. 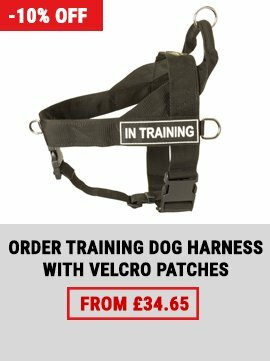 This is an excellent material for dog collar. Leather strap should be manually selected, perfectly processed and oiled to make the collar for long-term use. Premium class leather is soft and flexible enough, but durable and hard-wearing. It won't rub or cut into the dog's skin because the edges are rounded and waxed. 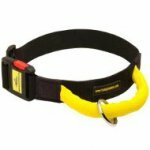 Leather collar is rather light-weighted and comfortable to wear. 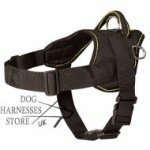 It is intended for dog walking, training, work and other destinations. 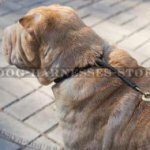 It is better to use leather dog collar in dry weather. It is not recommended to use the accessory in rainy weather to prolong its service life. Don't wash the collar on a heater if it got wet! You will spoil the item this way. Let the collar dry in natural way and oil it with special balsam leather care. Take care of the collar with this balm from time to time and the collar will look like new and serve the dog for long! 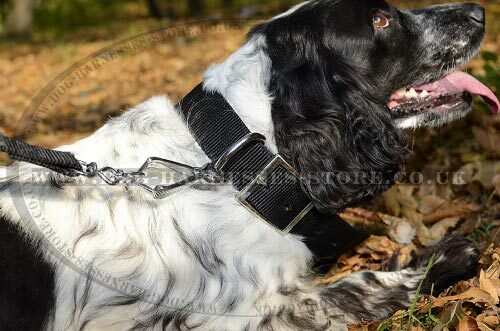 Nylon dog collar is no less strong and durable than the one of leather. Nylon is the material, which is used in any weather. This is its greatest advantage. 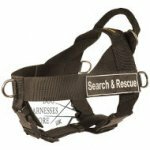 Nylon collar is water, dirt, wet and stretch-resistant. It won't lose its shape and look after contact with water or under the influence of temperature difference. 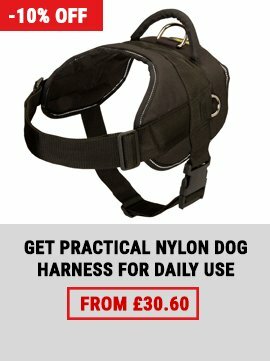 The dog can even swim with the nylon collar on! 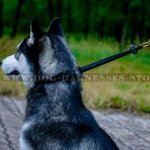 Top-quality nylon collar is absolutely safe for dog health. It will resist heavy loads and won't tear. Moreover, nylon is light-weighted and pleasant to wear. You will easily clean and wash the collar if it became dirty. 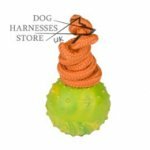 If you need a practical collar with wide range of use for your dog's daily activities, nylon collar is a great solution. 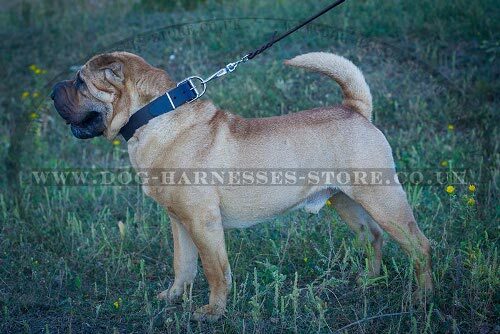 Pay also your attention to the hardware of leather or nylon collar. Every metal detail should be sturdy, reliable and handy in use. 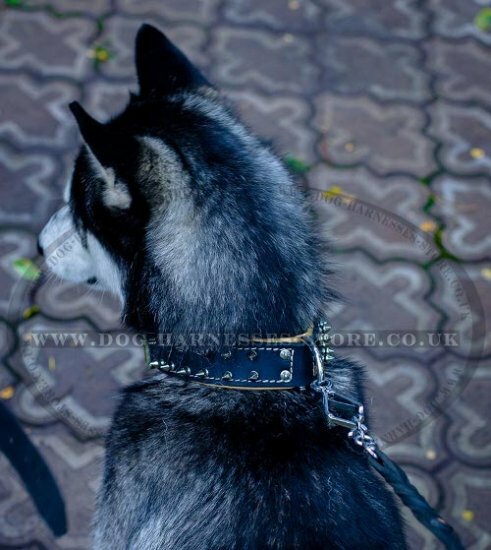 The best metals and alloys for dog collars are nickel and chrome-plated steel, stainless steel and brass. Please, write us if you have any questions.